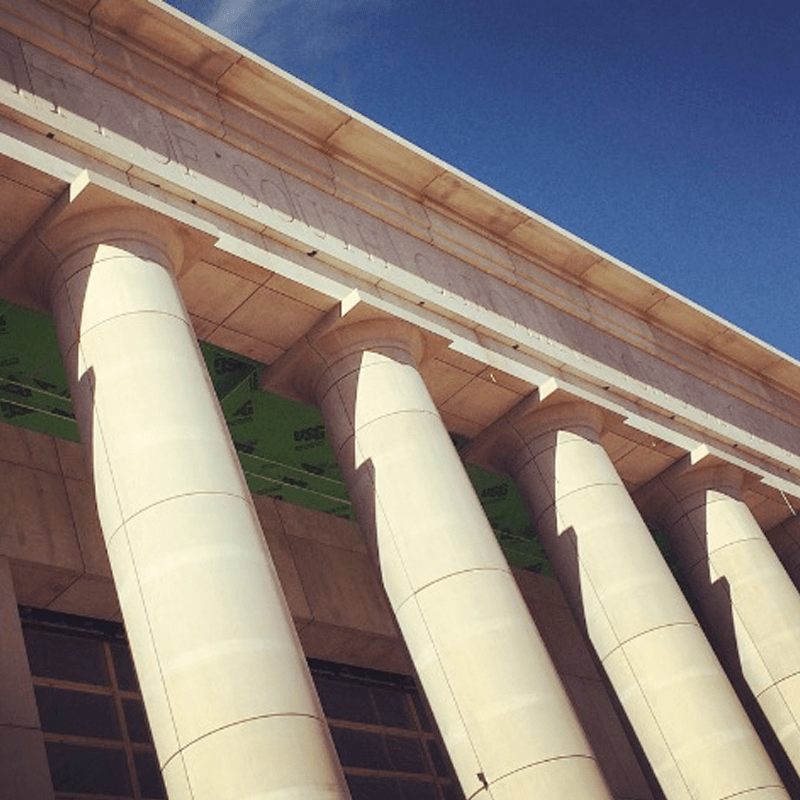 Gilbane provides construction management services for the new-state-of-the-art Law School designed to accommodate 660 students. 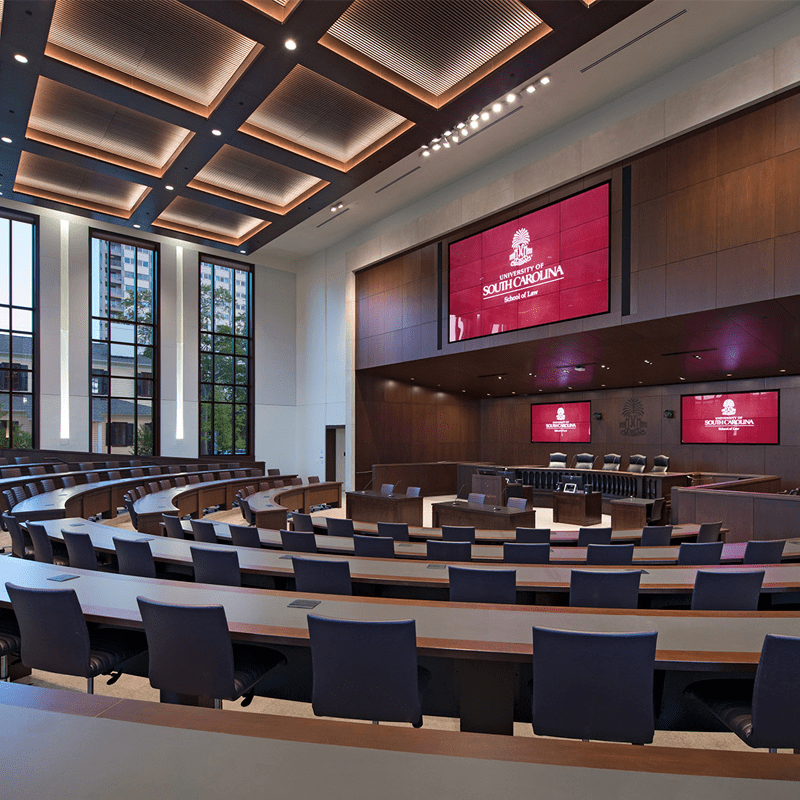 The University of South Carolina’s new elegant 187,500-square-foot School of Law and accommodates 660 students who will learn and study in technology-rich instructional spaces that include 17 classrooms ranging from 20 to 95 seats, a ceremonial courtroom, and law library. It also houses faculty areas, legal clinics, and student journals and organization spaces. Featuring the Karen J. Williams Courtroom, named for a late USC law school alumna who became the first female chief judge at the Fourth Circuit Court of Appeals, the 300-seat ceremonial courtroom will periodically host U.S. Court of Appeals sessions and also serve as an auditorium and large classroom. The three-story facility has four “wings” around an interior courtyard with one wing dedicated to classroom space and another to a two-story law library containing modern compact shelving to maximize space for quiet study and accommodate a large reading room overlooking the courtyard and 20 group study rooms. The courtyard features stone benches that were acquired from Columbia’s old Central Correctional Institution, a prison that closed in 1994. 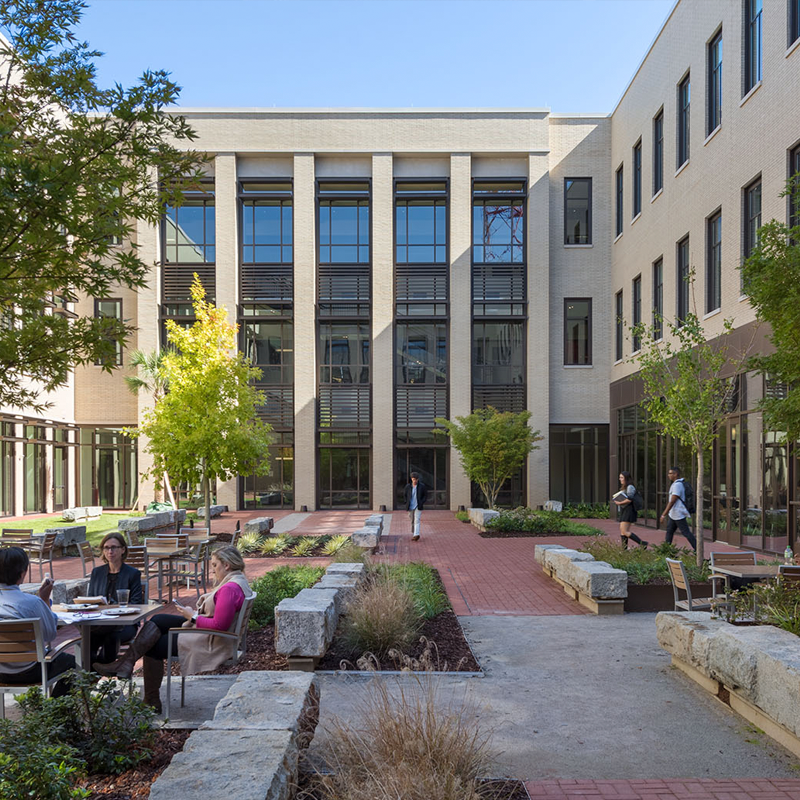 Other amenities include student service offices, a bookstore, an eatery, and a student commons area for conversation and collaboration adjacent the courtyard. 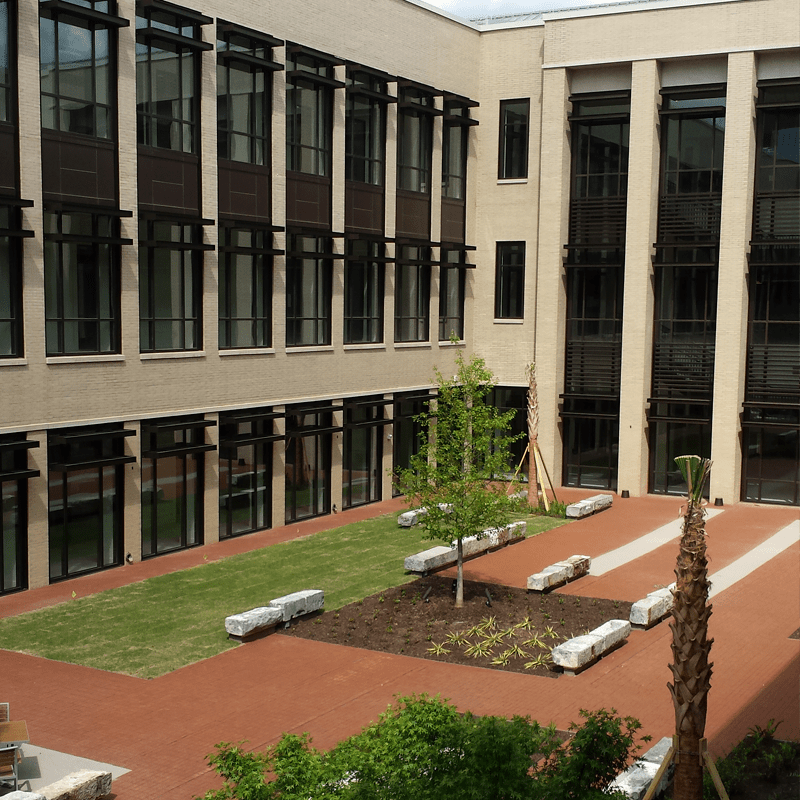 Situated on Gervais Street in downtown Columbia, South Carolina, the new School of Law is mere blocks from the state Supreme Court and the National Advocacy Center. Covering nearly one city block the new building also incorporates two historic houses on the site: the Taylor House, a carriage house, will be used for public function and the Horry-Guignard House. The project achieved LEED Gold certification and features dynamic horizontal and vertical metal sunshades to block direct sunlight that will keep the building cool naturally. Architects include SmithGroup JRR and Boudreaux Group. Through expanding outreach and contracting opportunities Gilbane was able to achieve 42 percent MWBE participation, including women, and 28.59 percent African American owned business participation—numbers exceeding the University’s expectations and also achieving participation levels not achieved on a large project on campus before.